Based in Heath Hayes, Cannock covering across the Cannock Chase area. Chase Garden Design & Landscaping provide a complete garden redesign and landscaping service throughout the Cannock Chase. If you are looking for a dedicated and creative landscaper then call Chase Garden Design & Landscaping. Chase Garden Design & Landscaping is the trading name of skilled landscaper Matt Davies. 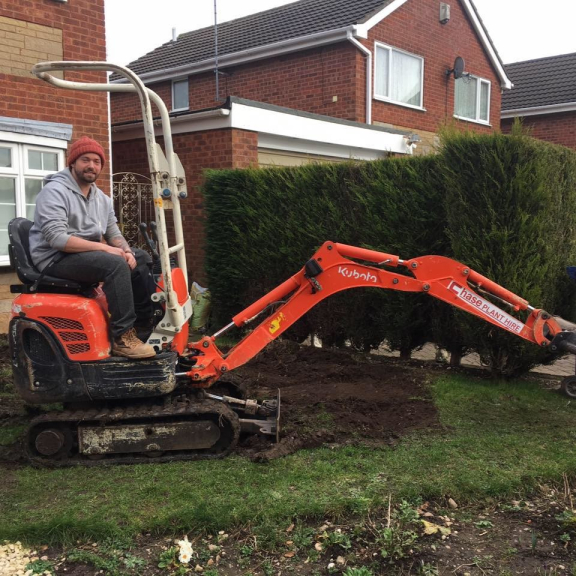 Matt has a passion for helping local people with all aspects of garden improvements including slabbing, turfing, astroturf, pathways, decking, fire pits, fencing and more. Chase Garden Design & Landscaping operate in a professional and friendly way to ensure that all customers receive the best service. When you contact Chase Garden Design & Landscaping it is Matt who you deal with directly and it is Matt that will oversee the work along with members of his trusted team. As a professional landscaper Matt is available for jobs of all sizes from small gardens through to large garden re-design projects. All jobs are tackled with the same enthusiasm and with clear communication. As a local Cannock person Matt provides landscaping services throughout the Cannock Chase area and beyond when demand dictates. Through experience and knowledge Matt is able to transform gardens quickly and at a lower cost than people would expect. 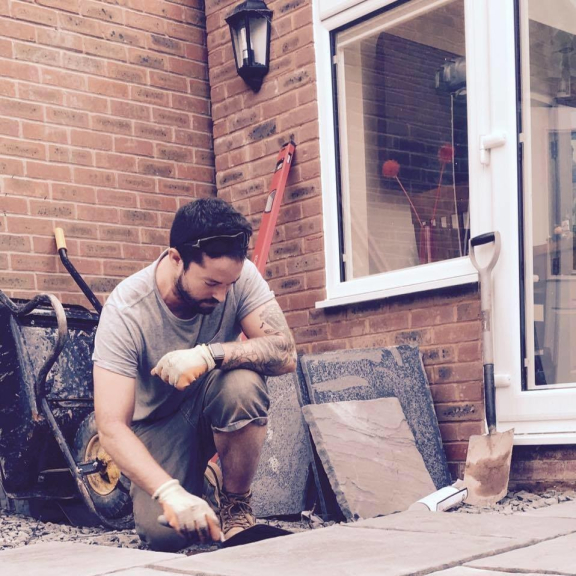 The experience, tools and expertise ensure Matt and his team can deliver quality landscaping for home owners from across the Cannock Chase area and beyond. A computer generated design can be provided to allow customers to visualise the finished product and see the improvemnet it will make to their outside space. Designs can include firepits, decked areas, feature lighting, artificial grass, planted areas and more. If you have designs on improving your property then call in the professionals and get the outside space to enjoy your leisure time. Chase Garden Design & Landscaping have received excellent feedback from customers who appreciate the quality of work and the tidiness of Matt. All properties are fully respected and gardens are finished once in a fully use-able state for the property owners. Matt has put in concrete posts, six new fence panels and a gate. This is just the start of a major makeover in my garden, and from what I have seen so far I am confident it will be a job well done. Matt has done a number of jobs around the house and garden. All work completed to a high standard. I have already recommended Chase Handyman to family and friends. Professional service, very happy with the finished shed.